The Scandinavian art of Hygge has been in the media for the past few years, we’ve even written about it on our Hygge blog. It seems that the Scandinavians are not the only ones who have a special word for snuggling and taking pleasure in warmth and cosy pursuits. A bit closer to home, the Scots know a thing or two about cosying up during the winter months and it’s called Coorie. Coorie can be applied to almost every aspect of life from buying cosy and comfortable clothes to eating your favourite comfort food. 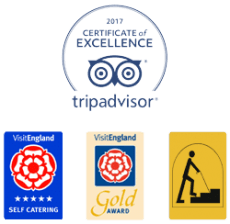 More recently it has been used in a ‘getting close to nature’ sense – walking in the hills, camping and a spot of wild swimming. As we’re just a few miles away from the Scottish Borders, we thought we’d borrow Coorie to describe a few amazing things you can do in the Northern Lakes and South Scotland. Here are some ways to be more ‘coorie’ while staying at the Tranquil Otter. There’s very little light pollution in Cumbria and South Scotland which makes it perfect for star gazing. The hottub at night on a clear night is perfect for gazing at the dark skies. Just over the border in Scotland we recommend the Galloway Forest Park in Dumfries and Galloway which is said to be the darkest sky in the whole of Europe. You can also check out the Kielder Observatory in Northumberland which is close to Hadrian’s Wall and see the sky that Roman soldiers would have seen thousands of years ago. For cosiness supreme, nothing beats curling in front of a log burner with a cup of hot chocolate. All our lodges have their own wood burners and Smart TVs with entertainment apps, including Netflix and BBC iplayer. Snuggle up and hunker down for a night of warmth and your favourite box set. We recommend treating yourself to hot chocolate using real chocolate flakes, made in a milk pan. The recipe can be found at the back of the chocolate sachet from John Watt & Son. Cut top of sachet and pour the chocolate flakes into a small pan. Add in 285 ml of milk. Put on medium heat and keep stirring until the flakes melt, until it is all nice and smooth. 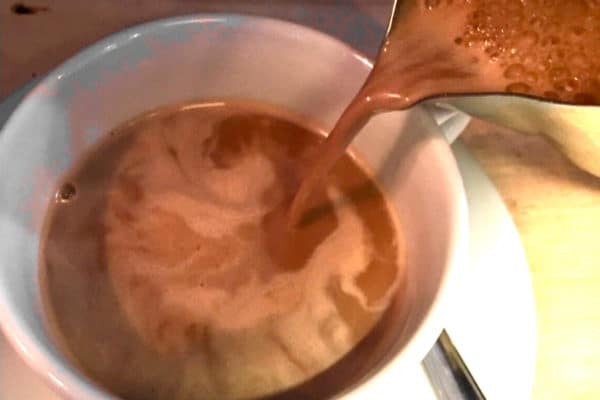 Once all done, pour into a cup and enjoy. Add cream and/or marshmallows for that extra luxurious touch. 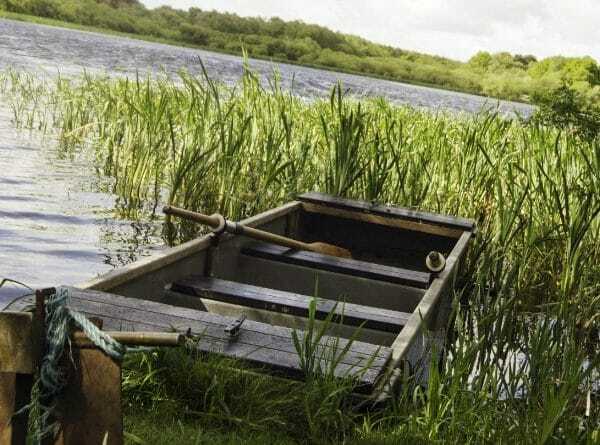 When you stay at the Tranquil Otter you get your very own boat that you can take out onto the lake to see the wildlife up close. It’s wonderful way to de-stress and relax. We have our own woodland that is delightful for a romantic stroll. 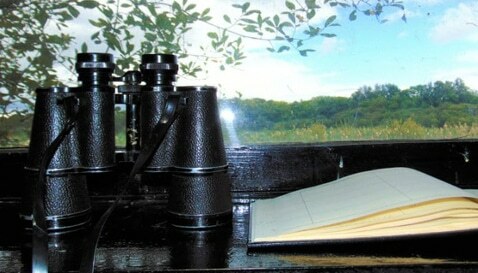 You can also sit and watch the birds from our own bird hide. You can use our hot tubs all year round. There’s nothing more perfect than relaxing in hot bubbling water while looking at the lake. It’s both relaxing and invigorating in equal measures. “What!” I hear you exclaim, “how is this on the list of cosiness and wrapping up warm?”. Enjoying the outdoors, walking and swimming is an important aspect of well being. And nothing prepares you for the warm comfort of a log fire and hot chocolate than a dip in cold bracing water. Personally I prefer a Lido, however husband Nick prefers the River Eden. Wild swimming is an increasingly popular pass time and if this is something that you do regularly, there are some beautiful spots in Cumbria to enjoy an invigorating dip. Popular spots for wild swimming include Buttermere and Wastwater. Check our January availability here and quote “Coorie” when booking online.